Colour: 302 Medium - Walk On The Wild Side. 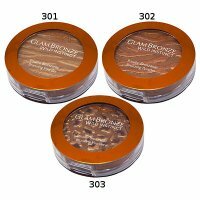 Limited Edition Bronzing Powder Compact. Bronzing Powder With A Hint Of Shimmer, To Sculpt And Contour Your Face For A Glamorous Sunny Glow.